Sleeping with only half your brain sounds like a great way to become a zombie in no time, but for certain marine mammals and birds, it’s a way of life. A new study suggests that crocodiles, too, may be “unihemispheric” sleepers, a finding which makes humans and other full-brain snoozers look more and more like evolutionary oddballs. Writing in the Journal of Experimental Biology, a team of Australian researchers reports that crocodiles often sleep with one eye open, a sign that the animals may be sleeping with only half of their brains. If crocs do indeed sleep one hemisphere at a time, it implies that the trait has deeper evolutionary roots than we realized. The researchers came to their conclusions by filming a bunch of juvenile crocs sleeping. If another crocodile or a human was present, the sleeping croc was more likely to keep an eye open and trained on the interloper. This, the researchers say, is consistent with what we know about the half-brain sleep strategy some animals use to keep an eye out for predators. 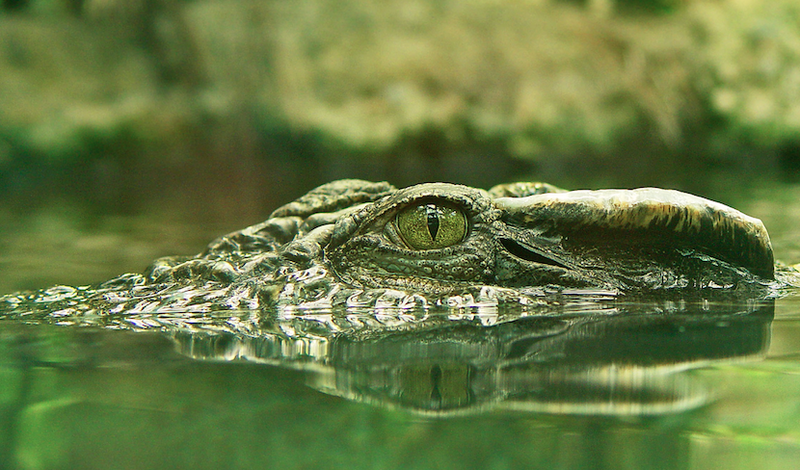 Confirming that crocodiles are indeed sleeping one hemisphere at a time is the researchers’ next step, and it’ll ultimately require electrophysiological recordings of the animals’ brains. That’ll be a fun project for some grad students. In the meanwhile, the rest of us should take extra caution while wading into croc-infested waters. Even the snoozers could be angling you for lunch.